Canadian Daily Deals: Tarte Shape Tape Foundation is Now Available! Tarte Shape Tape Foundation is Now Available! This is a huge exciting release in the beauty community today! 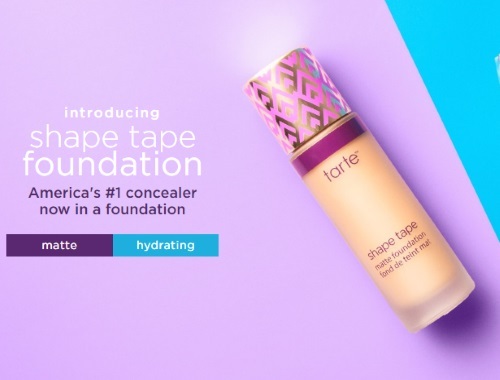 Tarte has come out with a Shape Tape Foundation! This follows their very popular, cult concealer the Shape Tape! This foundation comes in two formulations, the matte and hydrating. So you can choose what your need are. This retails for $55 Canadian and is available in 15 shares. Currently it only available on Tarte website, and at Ulta online and in-store.